I'm not gonna lie, but I'm one of the most eligible bachelors at SaveABunny. 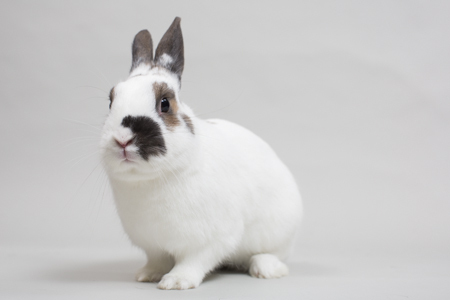 Do you have a pretty lady-rabbit in your family who might be lonely? Maybe she needs a super handsome fellow to snuggle during those loooong lonely hours when the human family is out and about? I'm your man! Maybe you and she can come on by and meet me. I won't disappoint. I'll try to share my greens. Honest. You can be Lady and I'll be the tramp.